Many people who love cats and are looking to add a feline companion to the home have an idea of color. Maybe it’s a memory of a cat we once had, or maybe it’s what attracts us most. 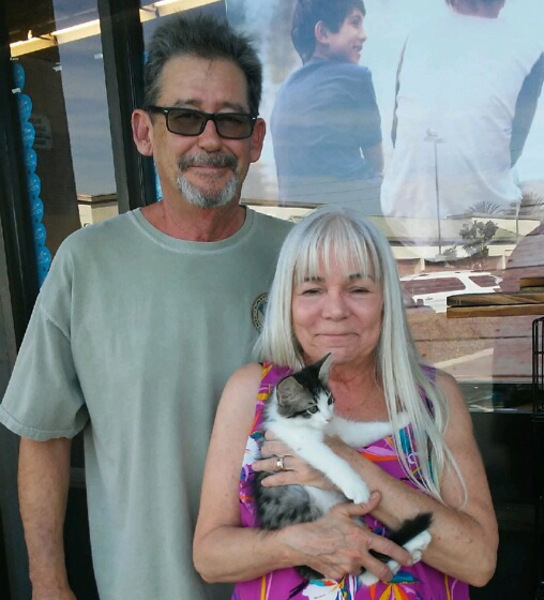 Life happens, and often adopters find that the cat they are really drawn to is an entirely different color. There is a connection, and that connection to a living, breathing being trumps appearances for all but the most superficial among us. Some adopters have come in for a specific color of kitty and left with one that is totally different than the color they originally wanted. “As a foster, none of my three cats matches my picture of what I would adopt out of a picture book. But I love all three in their inimitable way!” states longtime MeoowzResQ foster Sylvia Jonathan. Pay attention to the temperament, not the appearance, of the feline friend you are about to adopt, because you are going to spend a decade or more with him or her. Much like humans, cats should not be judged by their outer beauty alone. While there’s nothing wrong with feeling drawn to an adorable face, make sure you consider more than the cat’s appearance when making your decision. Look past appearance and “see” with your heart what’s really there. Behind the plain-vanilla exterior of a cat who has been overlooked by many, you may discover a sweet pet with the perfect personality. Those cats are the keepers, no matter what they look like. This entry was posted in Adopting, Education by MeoowzResQ.Bookmark the permalink.